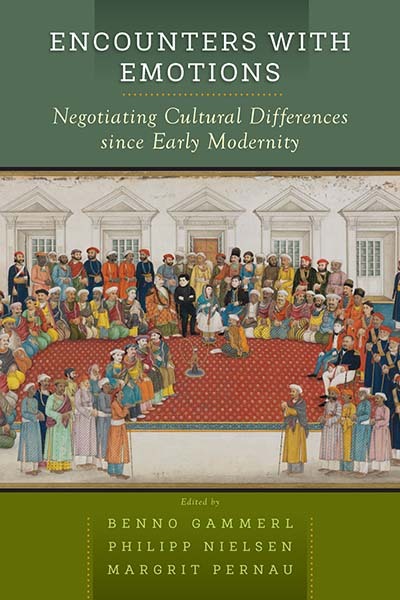 Spanning Europe, Asia and the Pacific, Encounters with Emotions investigates experiences of face-to-face transcultural encounters from the seventeenth century to the present and the emotional dynamics that helped to shape them. Each of the case studies collected here investigates fascinating historiographical questions that arise from the study of emotion, from the strategies people have used to interpret and understand each other’s emotions to the roles that emotions have played in obstructing communication across cultural divides. Together, they explore the cultural aspects of nature as well as the bodily dimensions of nurture and trace the historical trajectories that shape our understandings of current cultural boundaries and effects of globalization. Benno Gammerl is DAAD lecturer in queer history at Goldsmiths in London and adjunct researcher at the Center for the History of Emotions at the Max Planck Institute for Human Development in Berlin. His publications include Subjects, Citizens and Others: Administering Ethnic Heterogeneity in the British and Habsburg Empires, 1867–1918 (2018). Philipp Nielsen is Assistant Professor of Modern European History at Sarah Lawrence College and Associate Researcher at the Center for the History of Emotions at the Max Planck Institute for Human Development. His publications include Between Heimat and Hatred: Jews and the Right in Germany, 1871–1935 (forthcoming 2019) and Architecture, Democracy and Emotions: The Politics of Feeling since 1945 with Till Großmann (2018). Margrit Pernau is Senior Researcher at the Center for the History of Emotions at the Max Planck Institute for Human Development and Extraordinary Professor at the Freie Universität Berlin. Her publications include Ashraf into Middle Classes: Muslims in 19th Century Delhi (2013), Civilizing Emotions: Concepts in Nineteenth Century Asia and Europe (2015), and Emotions and Modernity in Colonial India: From Balance to Fervor (forthcoming 2019).